One of the best ways to describe almost anything is by the color that it happens to be. Everything from plants and animals to the sky, a house, clothes, eyes, or a person, are each a distinct shade of some color. The same goes for the types of things that we can't see, such as air and certain gasses, which we nonetheless describe as clear, invisible, or lacking in color. It follows from there that even more obscure ideas and metaphysical things, like a person's aura, can be effectively described by the color it vibrates at. All living creatures and even many inanimate, every-day, ordinary objects have their own aura which is the electromagnetic field surrounding them. While many people cannot visibly see this colorful, radiating energy, it's always present and will be until the day we cease to exist. 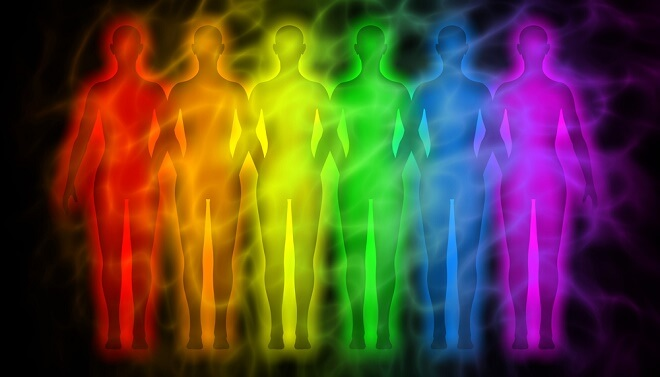 Our auras can reveal a lot about us especially in regards to our individual personalities, feelings, and emotions. The color that a person's aura is at any moment in time is a candid reflection of their life and overall mind set. Just as how our personalities and strongest traits evolve and grow over time, so does our aura which changes steadily along with us. In a nutshell, this means the color that your aura is vibrating at right now, is in response to and a reflection of all your subconscious thoughts and desires! At this point you're probably wondering what color your aura happens to be. This quiz will help you find the answer to that and tell you exactly which color of the rainbow it's vibrating at. The questions are interesting and introspective, as it looks at your preferences, attitudes, and the things you most connect with in life. Take it now and find out what color your aura is and pass it on with friends and family so they can also see what color theirs is as well. Have fun and enjoy!